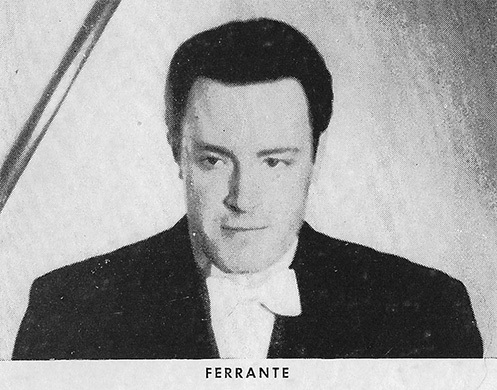 Arthur Ferrante (September 7, 1921, New York City – September 19, 2009), was part of the duo Ferrante & Teicher who were American piano players, known for their light arrangements of familiar classical pieces, movie soundtracks, and show tunes, as well as their signature style of rapid fire piano playing performances. The piano duo were one of the best-selling easy listening acts of the '60s, offering light arrangements of easily recognizable classical pieces, movie soundtrack themes, show tunes, and similarly compatible fare. Arthur Ferrante and Louis Teicher (August 24, 1924, Wilkes-Barre, PA- August 3, 2008) met while attending the prestigious Juilliard School of Music; both were child prodigies, and they struck up a fast friendship, performing together as a duo even while they were still in school. 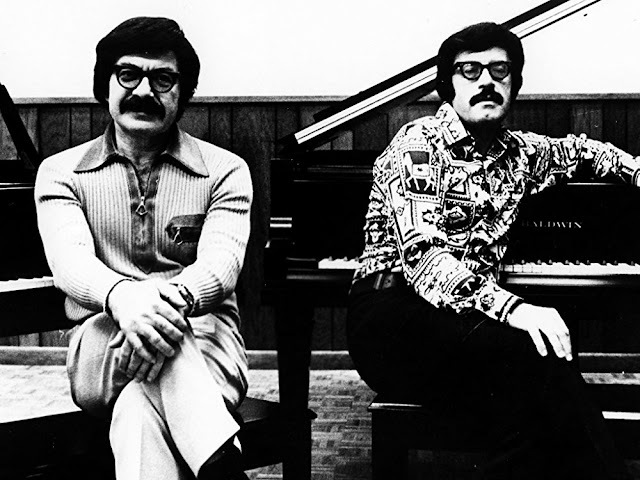 After graduating as piano majors, they both joined the Juilliard faculty, while developing a distinctive style of their own during their free time. 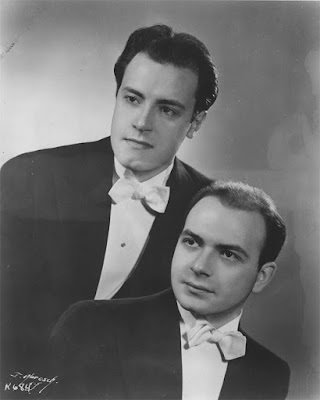 In 1947, they became a full-time concert act, at first playing nightclubs, then quickly moving up to classical music with orchestral backing. A switch to popular songs and standards by the likes of Kern, Porter, Gershwin, and Rodgers made them mainstays in the pops-orchestra field. 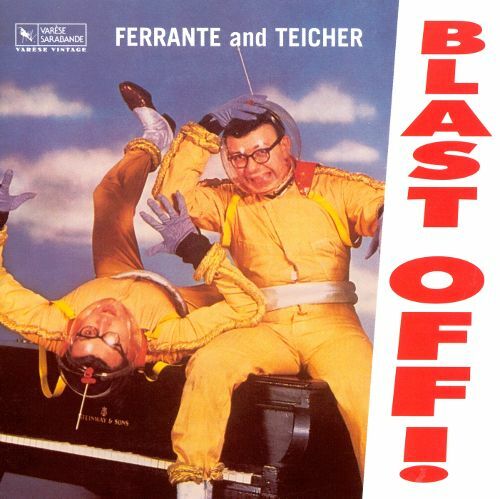 While they were enjoying success on the concert circuit, Ferrante & Teicher had been experimenting with treated pianos, influenced -- oddly enough -- by the ideas of avant-garde composer John Cage. By adding paper, sticks, rubber, wood blocks, metal bars, chains, glass, mallets, and other found objects to the string beds (among other techniques), the duo was able to produce a variety of bizarre sound effects that sometimes resembled percussion instruments, and other times produced a spacy, almost electronic sound (before such a tone even existed). In the latter half of the '50s, they recorded several albums in this vein for Westminster (most notably 1956's Soundproof and Soundblast) and ABC-Paramount (including 1958's Blast Off!). 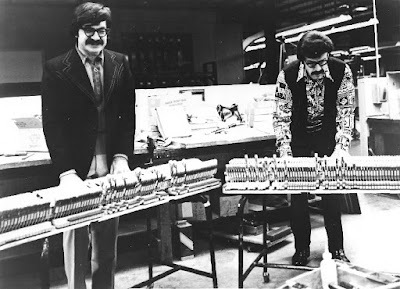 The results were highly unique and quite different from their later work, appealing more to hi-fi enthusiasts and space-age pop fans. 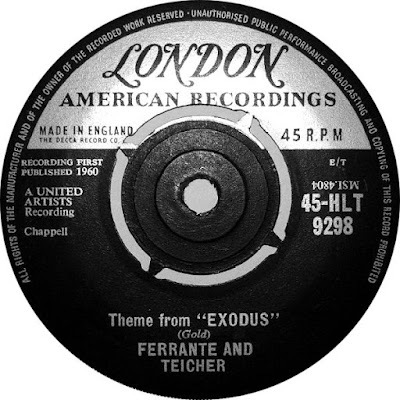 In 1960, Ferrante & Teicher signed with United Artists, where they quickly began to tailor their sound to a more mainstream audience. Many of their subsequent albums featured orchestras conducted by Nick Perito, and their brand of instrumental pop caught on very quickly. They landed a Top Ten pop hit later in 1960 with "Theme From 'The Apartment'," and followed it with their biggest hit, an arrangement of Ernest Gold's epic movie theme "Exodus," which climbed to number two and inspired a popular jazz version by saxophonist Eddie Harris. 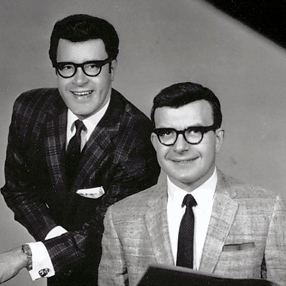 1961 brought another pop Top Ten with the West Side Story song "Tonight," which was featured on their highest-charting LP, the number ten West Side Story and Other Motion Picture & Broadway Favourites. "Midnight Cowboy"; the accompanying album of the same name found them experimenting a bit with strange guitar effects. Ferrante & Teicher's voluminous recording pace tailed off during the '70s, although they did continue to put out albums on a regular basis. In 1979, they left United Artists to form their own label, and in 1989, they left the concert circuit for good, retiring close to each other on the west coast of Florida. They continued to play together occasionally at a local piano store. 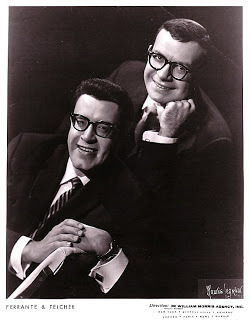 Louis Teicher died of a heart attack in August 2008, three weeks before his 84th birthday. Arthur Ferrante died of natural causes on September 19, 2009 at the age of 88 (he had once said he wanted to live one year for each piano key. A big thank you to Ludovico @ Entre Musica for original link.